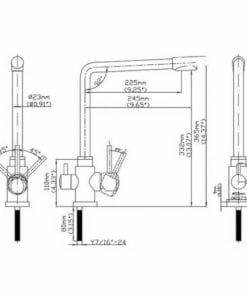 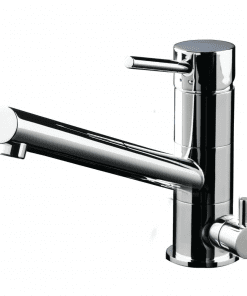 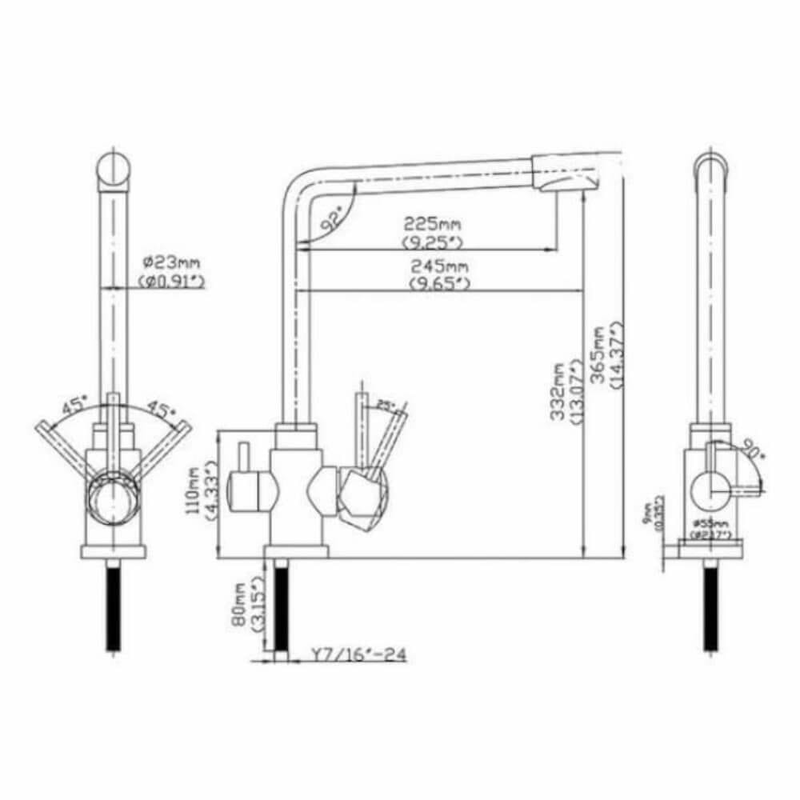 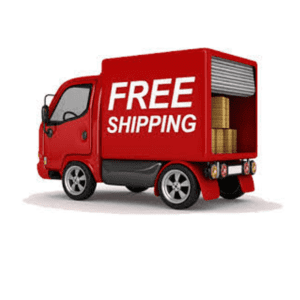 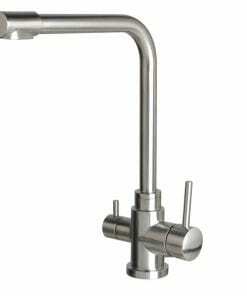 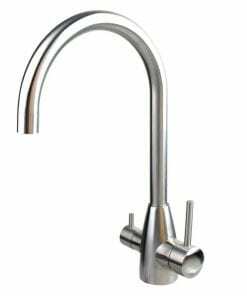 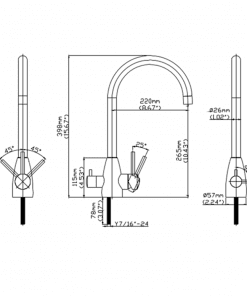 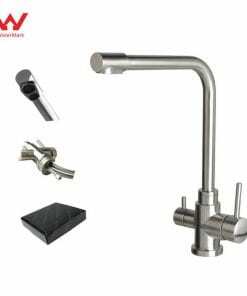 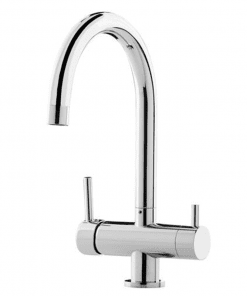 Stainless steel 3 way mixer tap supplies hot and cold mains water plus filtered water line. 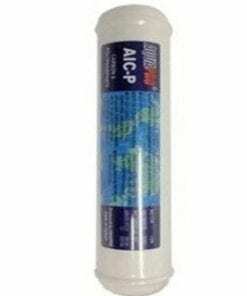 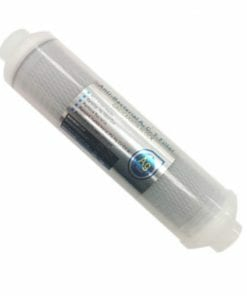 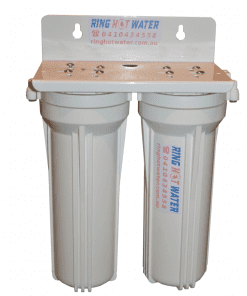 The filtered water is supplied through a dedicated outlet keeping it separate from the mains water line. 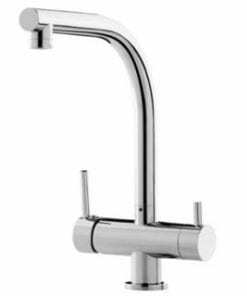 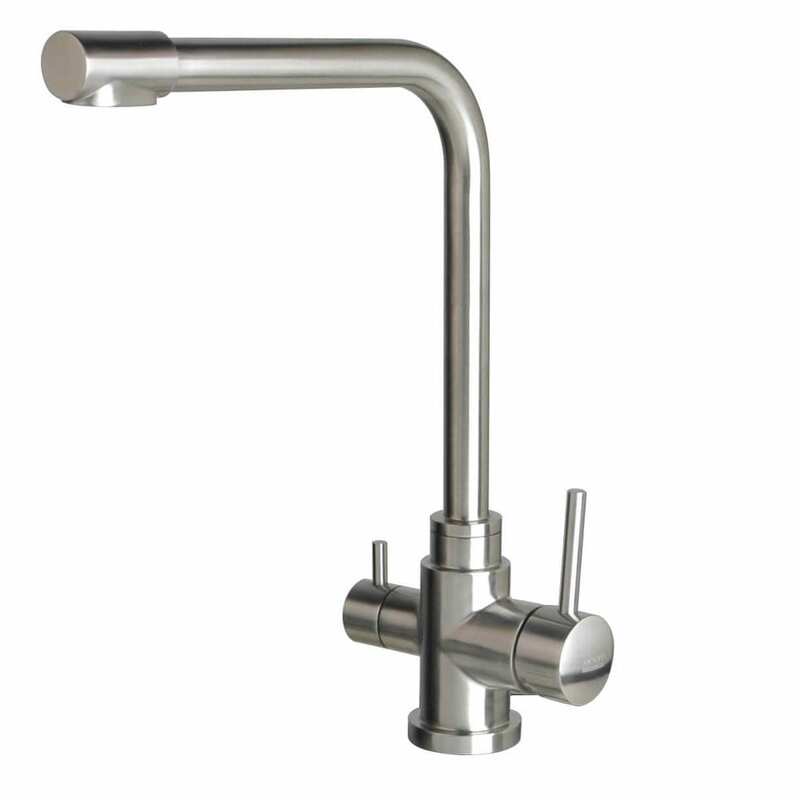 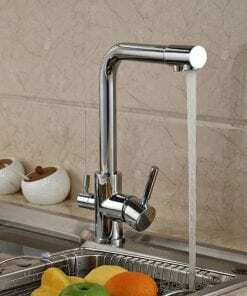 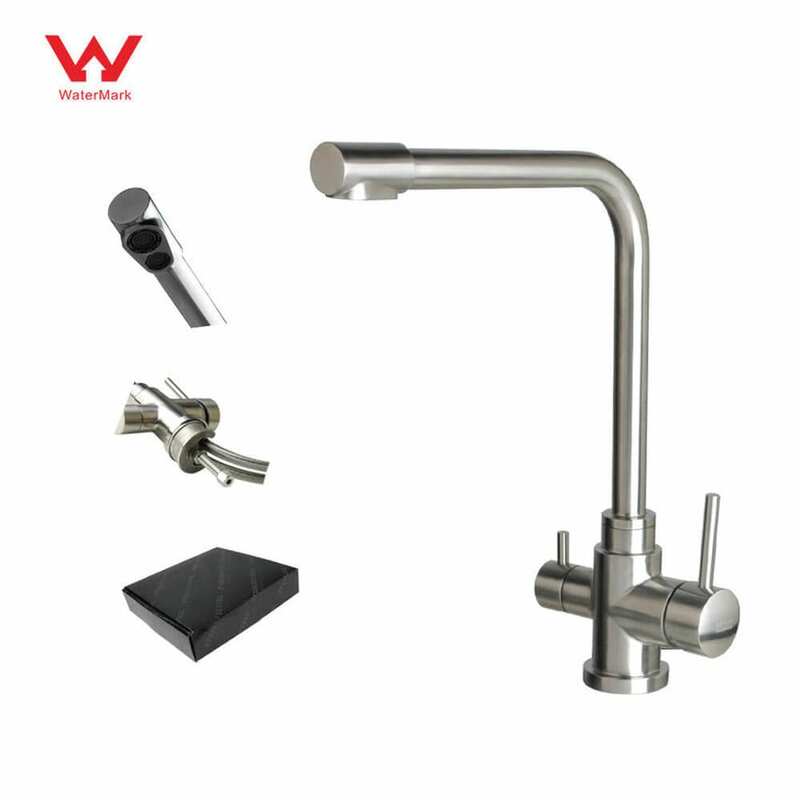 Stainless steel 3 way mixer tap with separated hot / cold and filtered water lines.